Damn Yak Dry Goods Co.: Ropp Cherry-wood Pipes. 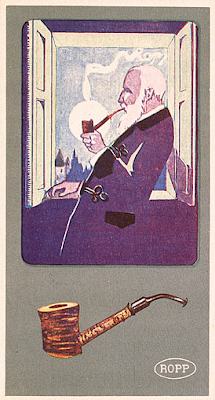 Let me start off by saying smoking is not healthy, and this post is not a promotion for smoking, but merely a showing of a beautiful pipe manufacturer. Ropp Pipes was started by Eugène-Léon Ropp in 1869 and continued production until 1991. 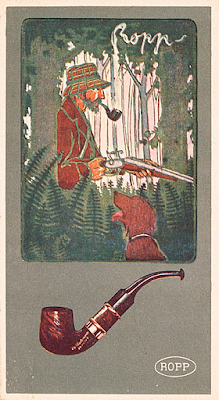 The mainstay of Ropp was manufacturing pipes from solid cherry wood. 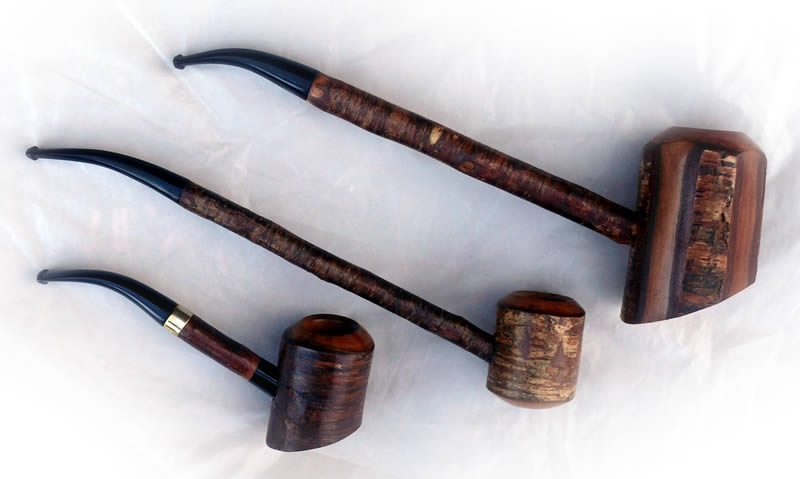 The main purpose of the cherry wood pipe is to preserve the rugged, woodsy apperance of the pipe. Ropps are made with the limbs of a cherry tree that are cut straight across one end and diagonally on the other, typically the bark is left on. 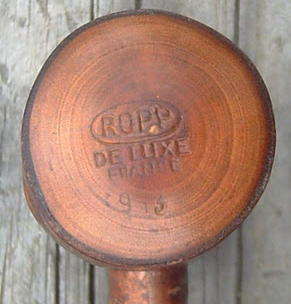 The flat end is hollowed out to form the bowl, while the diagonal end is polished, stamped with the Ropp logo and forms a flat bottom to rest the pipe on. 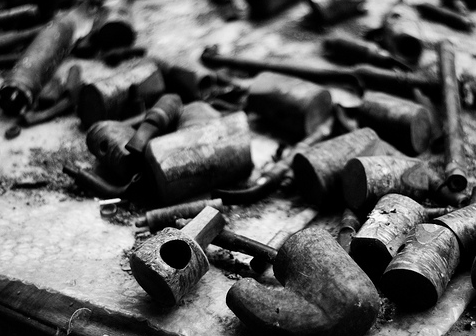 The shank is also made from a smaller cherry limb, and the stem and bit are vulcanite. Some people complain that the bowl is to small, but for people who smoke a pipe every now and then, they are the perfect size for a cool night around the campfire. Pine Pitch Salve - Canadian Outdoor Equipment Co.
Dust of Snow by Robert Frost. Swiss Salt and Pepper Rucksack.